ICELAND. 2007. 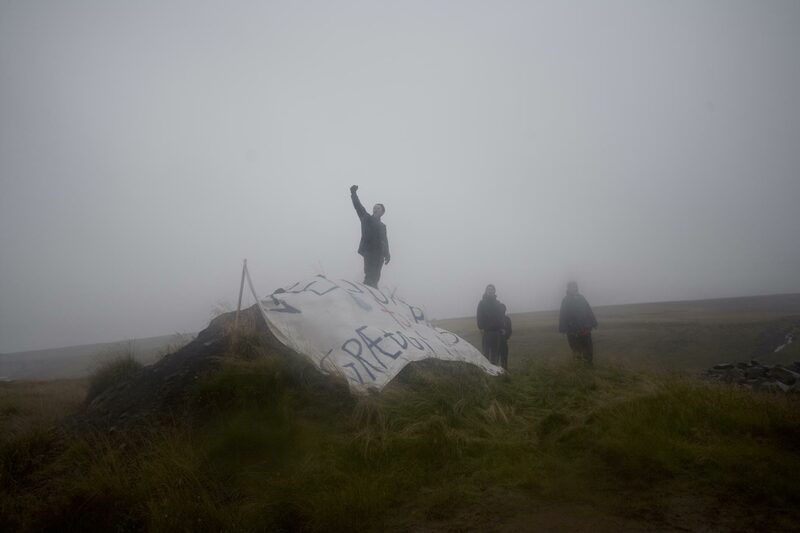 By the Urriðafoss waterfall, anti-industrialization protesters hold a banner demonstrating against the proposed damming of the Þjórsá river, which is under threat of a new power station plan.